Discover the true meaning of fear in this survival horror set in an atmosphere of constant dread and mortal danger. 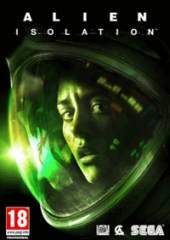 Fifteen years after the events of Alien, Ellen Ripley's daughter, Amanda enters a desperate battle for survival, on a mission to unravel the truth behind her mother's disappearance. As Amanda, you will navigate through an increasingly volatile world as you find yourself confronted on all sides by a panicked, desperate population and an unpredictable, ruthless Alien. Underpowered and underprepared, you must scavange resources, improvise solutions and use your wits, not just to succeed in your mission, but to simply stay alive. Overcome and even-present deadly threat: Experience persistent fear as a truly dynamic and reactive Alien uses its senses to hunt you down and respond to your every move. Improvise to survive: Hack systems, scavenge for vital resources and craft items to dead with each situation. Will you evade your enemies, distract them or face them head on? Explore a world of mystery and betrayal: Immerse yourself in the detailed setting of Sevastopol, a decommissioned trading station on the fringes of space. Encounter a rich cast of inhabitants in a world scarred by fear and mistrust.